Home/Benefits of yoga on trauma, Coping with trauma symptoms, DOJ study, Recovery, Research Study, Volunteer Opportunities, Yoga and Addictions, Yoga in prison/Can yoga help teens with trauma beat addictions and stay out of jail? Imagine lacking the ability to self-regulate in a place where you are denied a privilege every time you break a rule. And your usual coping methods – drugs or alcohol – are gone, cold turkey. This is the story for many teens with substance issues when they are incarcerated. Why? Trauma. When kids grow up with abuse, significant poverty, neglect, violence or other dangers, coping strategies are limited to survival mode. This means they’re at a severe disadvantage when trying to overcome addictions or avoid conflict with the law. systems that regulate emotions and information processing. In other words, teens operating at a high level of anxiety don’t have the same ability to delay gratification as their mainstream peers. When faced with cravings, they have less ability to ride them out, and small obstacles are more likely to trigger major emotional outbursts. That’s why Yoga Outreach is leading a study, funded by Canada’s Department of Justice (DOJ), to assess whether yoga can help these kids re-wire their brains, so they can make different choices. This study is one of the first of its kind in North America to look for evidence that teaching self-regulation through yoga can help teens avoid substance relapse and further conflict with the law. Other research has largely focused on adults, or on teens from mainstream backgrounds. Learning to cope with difficult feelings starts with body awareness in Yoga Outreach-led class. While there’s very little published research on the effects of mindfulness on justice-involved teens with substance issues and PTSD, we do know a little something about it. And since 2017, as part of the DOJ-funded study, Yoga Outreach and evaluator McCreary Centre have also been assessing results of trauma-informed yoga classes at PLEA Community Services in Surrey and at Phoenix Centre in Kamloops. Starting in March, we’ll be working with teens at The John Howard Society of North Island in Campbell River. We know trauma resides in the body for adults; body practices like yoga help some feel safe enough to get through a panic attack, choose reactions other than violence, or join a social event. Now we want to help prove it for teens. We believe young people fall into substance use when they lack other coping strategies. Since yoga encourages people to breathe calmly through difficult emotions, teens will have a better chance of managing cravings and other stressful events without relapse if they are familiar with yoga. Yoga and teens in custody: What positive results could mean. If this program is successful, the DOJ may choose to include yoga or other mindfulness-based programming in more youth justice programs and custody facilities. Results will assist other yoga and mental health professionals in supporting teens in custody to build healthier futures. Success depends on finding committed volunteers from the Campbell River community before Yoga Outreach Core Training ™ begins March 1. The course is open to any movement instructors or mental health workers interested in supporting clients with a history of domestic abuse, mental health challenges or addictions, or other obstacles. Did the obstacles facing these teens strike a chord with you? You can help in two ways. Volunteer.  Qualified yoga teachers can apply to volunteer for as little as two hours a month after completing the Yoga Outreach Core Training ™. If not Campbell River, we offer many classes in the Lower Mainland and throughout BC, Canada. If you don’t have the time to volunteer right now, consider becoming a monthly donor. Your spare cash could subsidize someone else to volunteer through a work/study scholarship, or help us launch programs in new facilities. Volunteer or donate – whatever you choose, you’ll be making yoga more accessible to teens with huge – but not insurmountable – challenges.